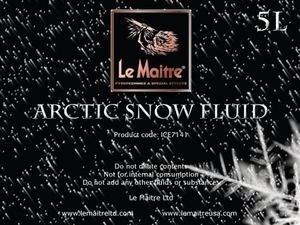 Le Maitre's Snow Fluid sets high standards. Ready diluted for ease of use, the fluid is used with the Arctic Snow Machine as well as most professional snow machines, to create an amazing realistic snow effect. 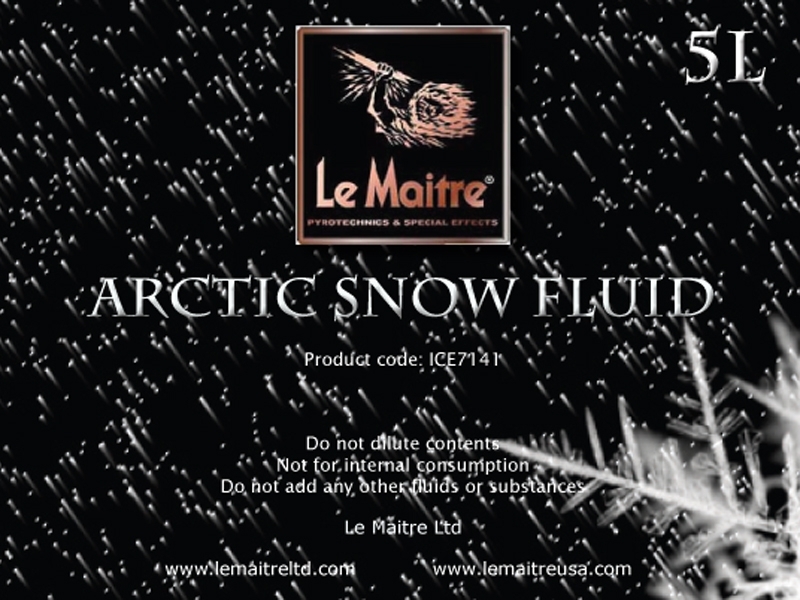 Le Maitre's Snow Fluid is a water-based formula that is safe and non-toxic.